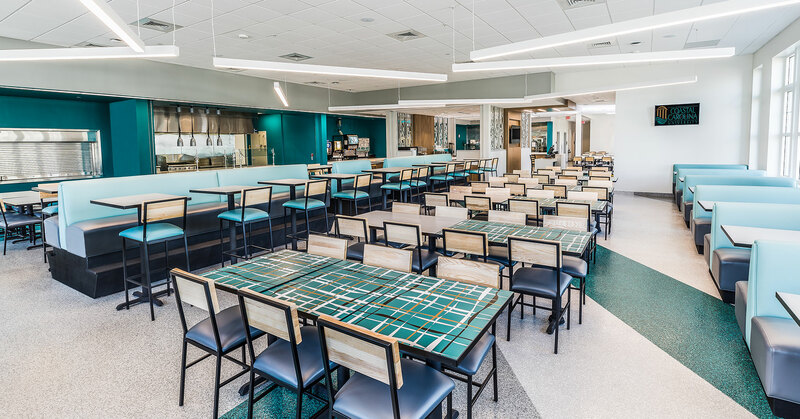 With over 9,800 square feet, the new University Place Dining Hall facility has a seating capacity of over 200 and serves the residents of University Place Apartments. 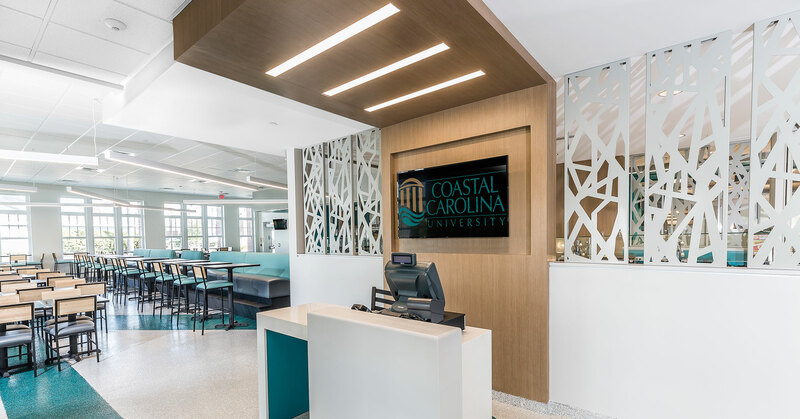 Located adjacent to the main campus, the goal was to create a space reflecting look and feel of CCU while providing community dining and gathering in an efficient and economical way. A key challenge of the project involved an existing data room housed within a building that required demoliton. It was paramount that the data room remain fully operational throughout the demoliton and construction of the new facility. 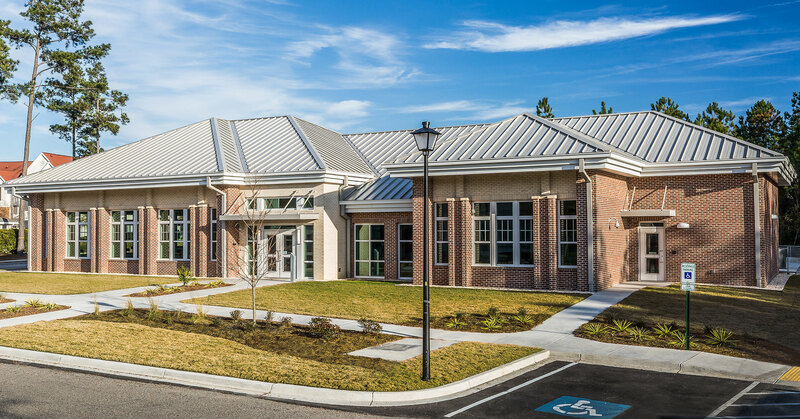 Our team employed unique solutions without incurring downtime or inconvenience to the residents. 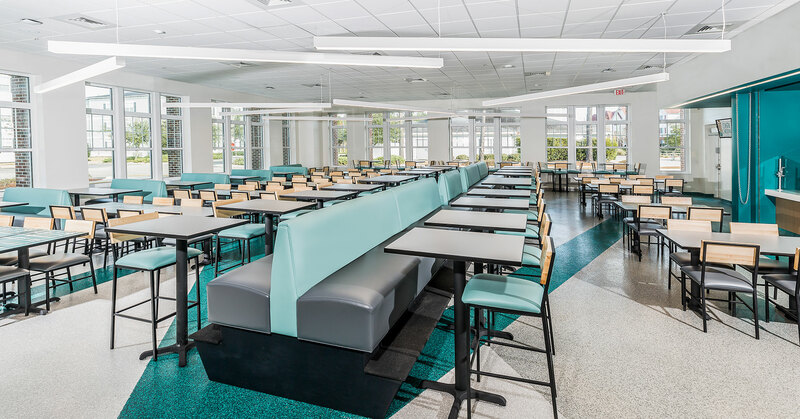 Our interior design team was able to extend the design goals through to the selection of furnishings.